6. Support other author’s book releases. Go to their book signings; tell others about their new release via your blog, email, postcards/flyers at your own book table. The blessing will come back to you too! Pam Perry is a PR Coach and the Chief Visionary at Ministry Marketing Solutions, Inc.
Who is your main customer? What do they look like? What do they watch? Listen to? What other media do they consume? The more research you do the more you can identify and target your ideal customer to BUY YOUR BOOK! UNDERSTAND YOUR MARKET… Once you have an idea, research it. Check Amazon and see if any similar books exist. Is there a need for your book? How will your book be different? Will it withstand the competition? Find out everything you can about your topic; become the authority. Step 2: What’s your PLATFORM? Find your “book hook.” What message are you marketing? Get your message “out there!” But what do you want to say? Are you an expert? An evangelist? Do you want to position yourself as a “brain” or a “creative” – or do you have endorsements that will speak volumes for you? Whoever endorses you will “pin point” how you will be perceived/branded in the market. Make sure your message that you communicate makes the media say “wow” and not yawn. Examine yourself and find your unique selling position. Why is your book worthy of media attention? Talk to everyone you know, network, get a marketing mindset! Find places to start, get bookings to teach/speak and work your way up. Make your initial mistakes locally, and build a devoted following close to home. Take speaking, voice or acting lessons, or hire a media or PR coach. Join the local Toastmasters or the National Speakers Association. You’ll get practice speaking in front of people, feedback and contacts for places to speak. Video yourself; critique yourself; and practice a lot. You want to shine for the media and make your “followers” proud. 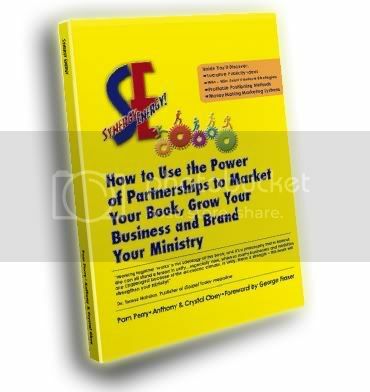 We would all love to be on Oprah, Tom Joyner, Steve Harvey and TBN…that’s a for sure best-seller status. But starting out, get a focused, realistic media database that reaches the core target audience. What do they read, watch and listen to? Do you really know the media? Google the media that matches your platform. Find addresses at websites. Although websites seldom reveal addresses of print or broadcast contacts, they’re a good place to find the addresses of website editors and content producers, and to figure out the company’s addressing system. You can sometimes find e-mail addresses using online directories such as Yahoo’s People Search. Also, Linkedin.com is a good source. I know tons of authors who have made personal contact with producers through social networking sites like facebook, myspace, or twitter. Use Eblast services too to “stir up the buzz” and get the word out immediately to the masses. Step 4: Create dazzling press materials. If you’re trying to pitch Essence, “O” magazine or your local weekly neighborhood newspaper, you better come correct. You only have one chance to make a first impression. Get customized press kit folders if doing mailing. Or get graphics help to design your EPK (electronic press kit). But whatever you do, get great author photos. A picture is worth a thousand words – and a “glamour” shot will get you noticed. Even in the Christian market, being attractive sells more books. Make sure your press releases, fact sheets, articles and pitch letters stand out from the crowd and “position” yourself. BRAND! In this electronic age, having a top-notch Website and Electronic Press Kit (epk) will show that an author is professional. Increasingly, editors are viewing them as tickets to the game. Step 5: Media contacts – they are your friends. When you prove yourself as an “expert” and dependable source of information, you get reporters to contact you over and over. And they will tell their friends about you because you will become known as a good source. But never brow beat and badger a reporter/producer with unwanted phone calls, faxes or E-mails – that’s a quick way to make an enemy with the whole industry. If they don’t respond, ask them why and then move on. There are tons of other media that will reach your target market. Use your time and energy wisely and don’t be a pain – and when you really have something to contact them about – just a quick email is all that is needed. FINALLY and most importantly: REMAIN ENCOURAGED, STEADFAST AND prayerful. Prayer is the key. The Ultimate Author PR Boot Camp! I’m Pam Perry, an expert in the African American Christian market, with 20 years experience in public relations. I can help you cut through the publicity maze, “master the media” and successfully market your message. 1. Evaluate and improve your book marketing plan, tweaking your ideas. 2. Tailor your promotion plan, tapping into my wealth of PR strategies & secrets. 4. Hold you accountable as we work together on your execution of the book marketing plan. I will be your media mentor - and publicity evangelist! And finally -----You'll learn how to tap into traditional to get Public Relations exposure and new media to build a tribe! Contact me now and we’ll be off and running! Classes start Tuesday. Blogging Mania! Where do you start? How to Keep it going? you missed a popular first series! We were at capacity! Ralph Claxton took the authors to a whole new level. Promotion Teleseminar coming up this Tuesday! Whew! Fasten your seatbelts. 2009 - it's time to shine! Know that Easter is about Jesus. Not bunnies. Not eggs. But Jesus died and rose for US - that's why we have LIFE! from their media player (much faster). to make their friends read. Digital Evangelism! See PamPerry, PR Coach too and join www.ChocolatePagesNetwork.com so you'll get notices on the MBQ Series! What to Include in Your Author Bio - Please, Don't BORE ME! I just finished the third session of the PR Boot Camp Coaching Teleclasses last Tuesday. But for now, you should have at least 3 different versions of your biography. You should have one long one that can be up to one page. One short one that is about one or two paragraphs long with 100-150 words, and a mini one that can be summed up in 2 sentences or about 25 words. (for online "about me" sections in say facebook, Nings or myspace). 1. Highlight the most important accomplishments that you have made that relate to your book subject. 6. Write in third person and not first person. 7. Be lively and specific using active words. (think colorful and vibrant, expressive, funny is good too) But NEVER BORING! 8. Read some bios on other top selling authors’ covers to get a good idea.Or come to the Tuesday, April 14 Publishing & Promotion Teleseminar & get all these resources and more! Go to: www.publishingpromotion.eventbrite.com See the bio of Omar Tyree there too. you can simply insert it later when it is needed in your marketing materials. Your # 1 tool to attracting media - YOUR BIO. What's up with all this chatter about twitter?